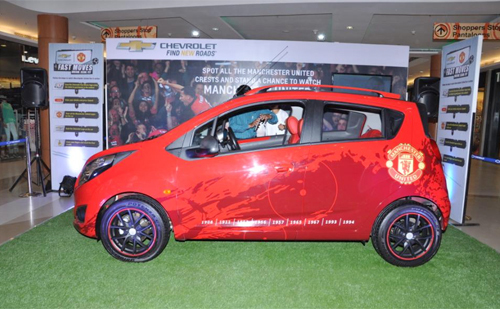 General Motors India has begun displaying Manchester United limited edition versions of the Sail U-VA and Beat hatchbacks in malls across the country. 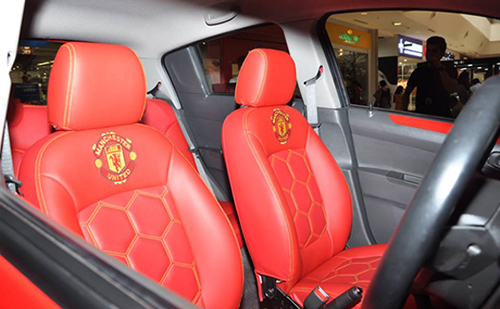 These special edition hatchbacks come in Manchester United livery on the outside with the football club’s badging on their seats and red highlights for the interiors. Both cars will be built in limited numbers. 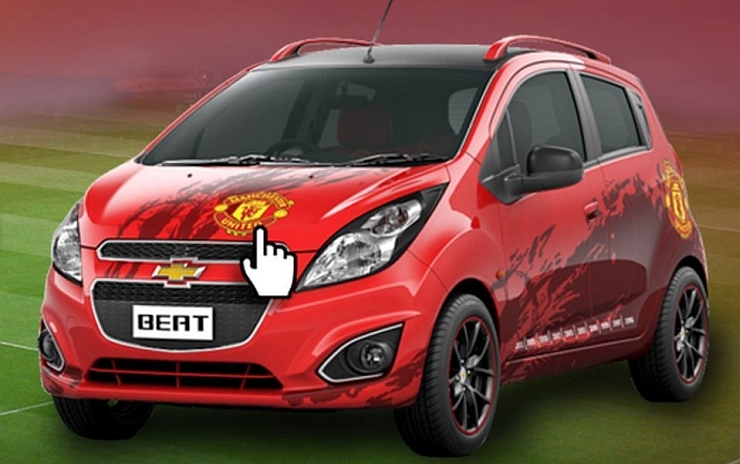 Chevrolet has also started a contest around these cars called the ” Fast Moves”, as an on-ground promotion under which the winner get to see a Manchester United bs Real Madrid football match o on 2nd of August at Michigan. 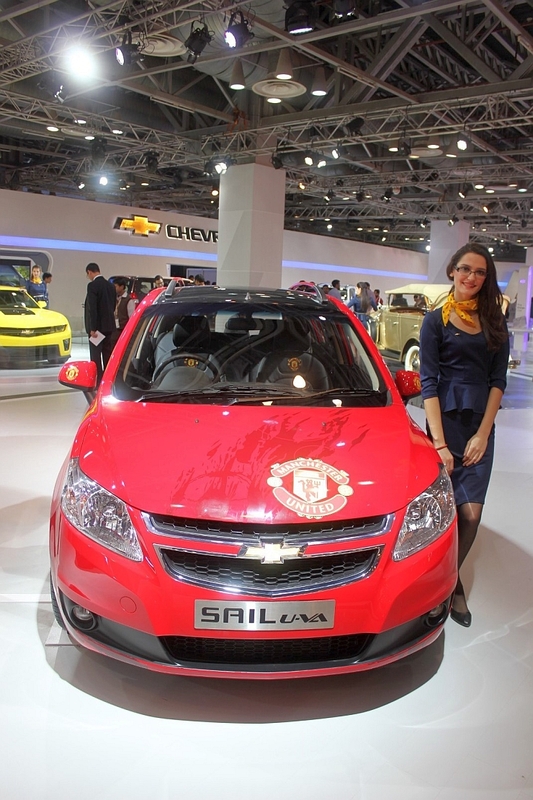 The Beat and Sail U-Va Manchester United edition cars were showcased by the American auto manufacturer at the Auto Expo 2014, back in February this year. 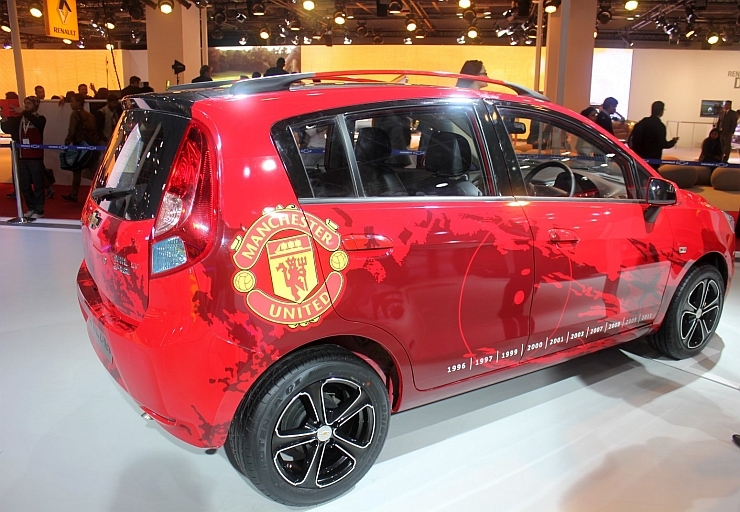 The jersey for the football club will be unveiled globally on the 7th of July and the same day will be see both cars being launched in India. The Beat and Sail U-VA haven’t exactly been the stellar performers in the sales department. Therefore, the can could use special editions to freshen up things a bit. 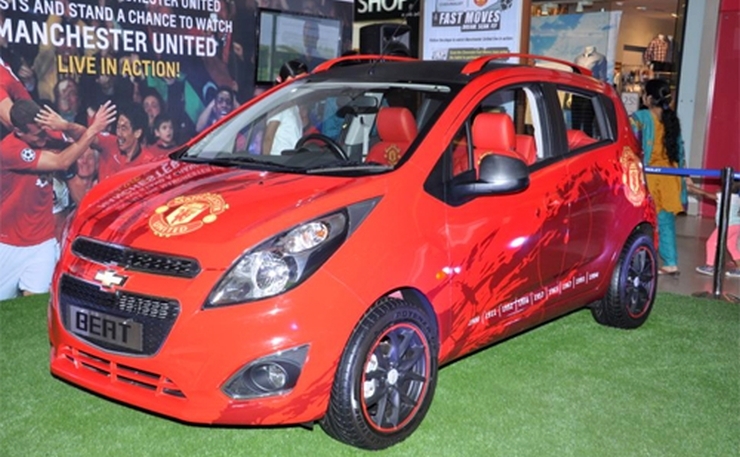 Expect the Manchester United editions of the Beat and the Sail U-VA hatchbacks to be offered only on top end variants, commanding a 75,000 rupee premium over the regular variants. 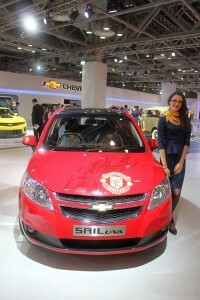 The Manchester United edition models of the Beat and Sail U-VA will be offered on both petrol and turbo diesel engines. The latest set of special edition cars from General Motors India is in line with the company’s strategy of launching a range of facelifts and special editions to keep its car line up exciting. Since GM India has no plans of launching a new car in the near future, expect to see a lot more special editions coming our way. The company has announced that it won’t be launching all-new cars in India until 2017. 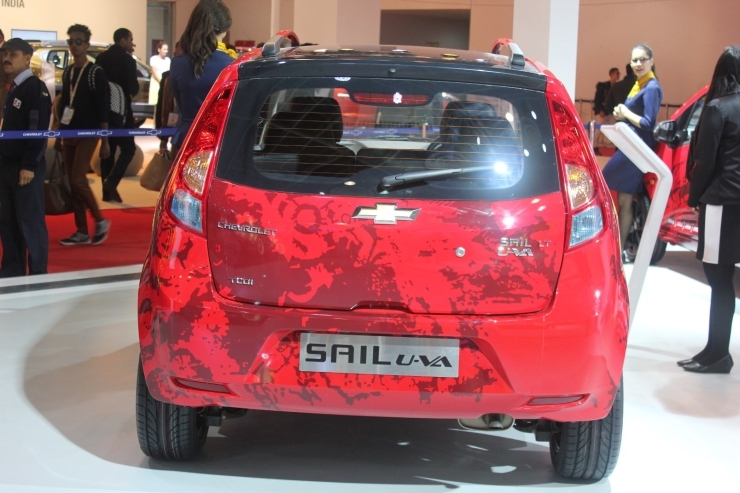 General Motors’ market share in India has reached a paltry 3 percent and the spate of recalls and poor sales performances of its volume cars aren’t helping matters. Chevrolet is developing an all new Amber platform which will spawn a compact crossover (Chevrolet Adra concept), a compact sedan and a hatchback for India. However, the first of these cars will be launched only in 2017, which is nearly 3 years away. While special edition cars can help GM India keep the buzz going for a while, 3 years is a long time to go on with just refreshed cars (all the cars are over a year old already). 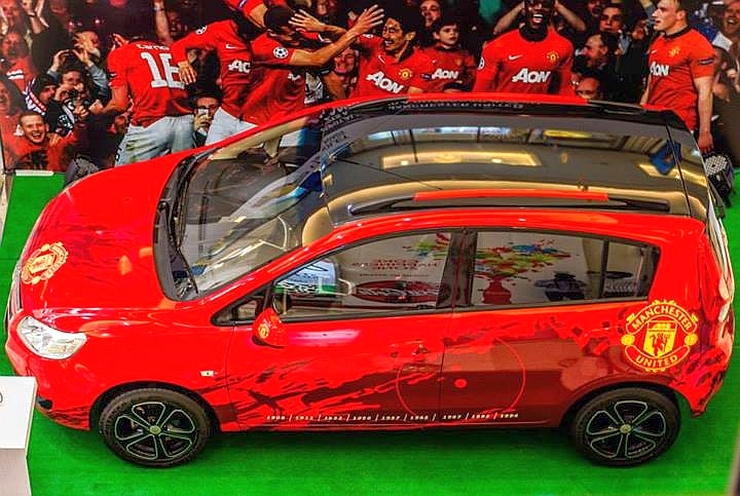 « 2015 Ford Figo/KA hatchback to hit trial production at Sanand in February 2015?